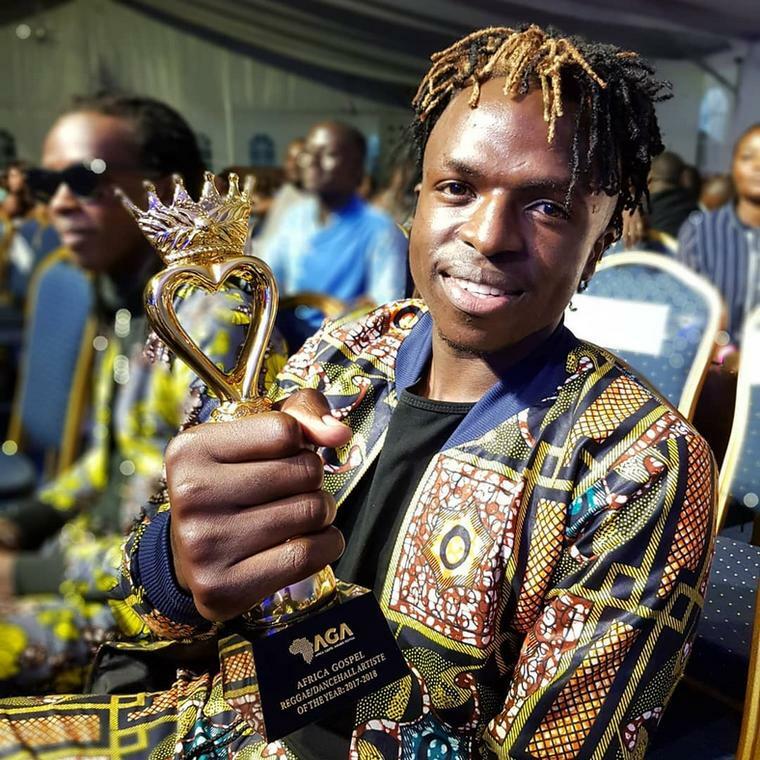 Kenyan Gospel singer Jabidii emerged the winner at the 2019 Africa Gospel Awards Festival (AGAFEST), held in Ghana over the weekend, after being crowned African Reggae/Dancehall artiste of the year. Jabidii flopped other big wigs he had been paired with, to bring home the prestigious Award. Kenya’s Moji Short Baba, Guardian Angel, Righteousman (Nigeria) Mista Push (Nigeria) Akesse Brempong (Ghana), Nat Abbey (Ghana) were among stars competing with Jabidii in the Dancehall category. The vimbada hit maker had also been nominated for the “Africa Gospel New Artist of the Year” but unfortunately he did not win in that category. The Africa Gospel Awards Festival (AGAFEST) is an award event that recognizes and celebrates talents and hardworking gospel acts, ministry, mission projects, outreach and evangelism, charity works and many more works related to the Gospel across Africa.